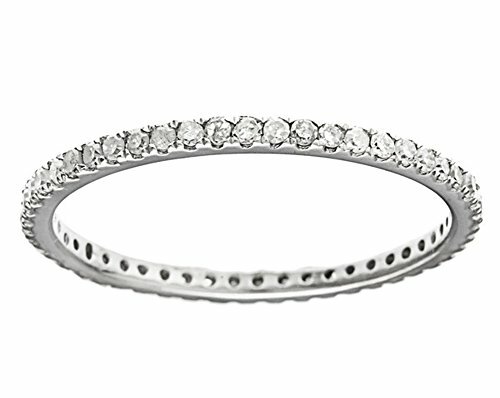 This beautiful ring is pave-set with sparkling round-cut white diamonds all around an extra thin band. Crafted of shimmering 10-karat rhodium-plated white gold, the band shines with a highly polished finish. Ships with an free elegant ring box.